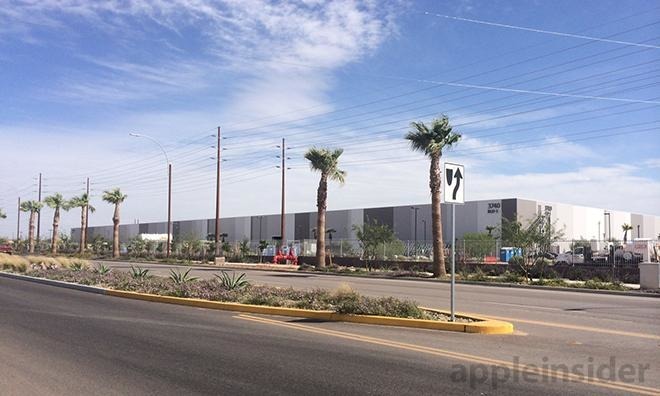 Apple is repurposing GT Advanced's former sapphire plant in Mesa, Ariz., to produce cabinets for its other data centers, according to a notice published by the U.S. government on Monday. Found in the Federal Register, the notice says that Apple sought approval from the Foreign-Trade Zones Board to manufacture "finished products" in a zone exempt from customs duties. Specifically, the city of Mesa, filing on Apple's behalf, noted that Apple has "repurposed the site as a global data command center," which will "conduct high-tech manufacturing of finished data center cabinets for other data centers." Mesa originally wrote to the FTZB in June, noting that Apple wanted to meet a "an aggressive production go-live timeline" in September 2016. "The nature of the product is not for end users but for other global data centers what will be supported from the site," the city said. A Business Insider source claimed that the servers Apple uses in its Oregon and North Carolina data centers are currently built and tested on-location, but that the work should soon be centralized in Mesa. Before becoming a data center, the Mesa facility was originally a GT plant meant to supply sapphire for Apple products. GT wasn't able to meet Apple demands however and suddenly went bankrupt, ultimately landing the complex in Apple's hands. The latter began hiring in October and has said it will have at least 150 people on staff, eventually adding more including a dedicated executive. A March 2016 report said that Apple was deeply invested in producing its own servers and networking hardware, concerned that tampering in third-party products —for instance by spy agencies —could create serious vulnerabilities.